Tundra at Summit Lake, Mount Evans, Colorado. 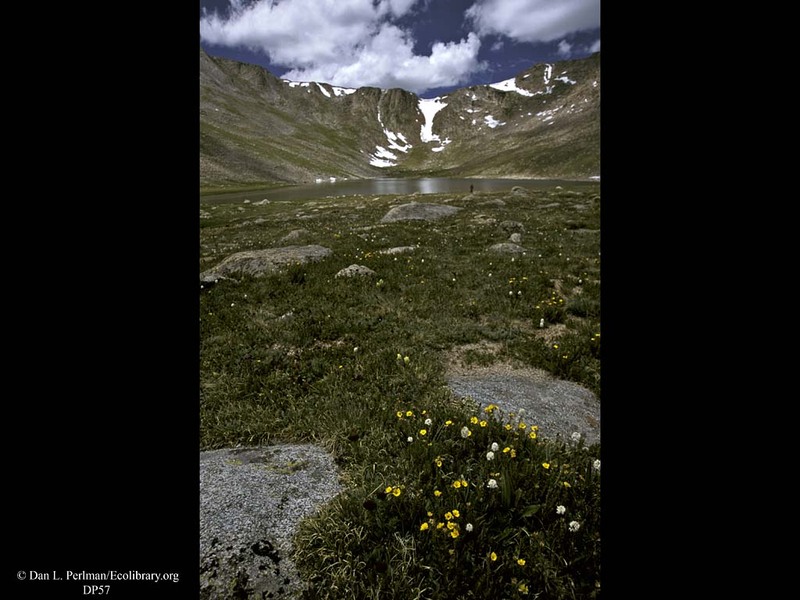 Far above tree line, the landscape is covered with small wildflowers, short grasses, and lichens. Between a short growing season, high winds, and thin soils, this is a very difficult habitat in which to survive. This is also a good situation in which to see primary succession, as the bare rocks are first colonized by lichen then later by flowering plants as small amounts of soil form.